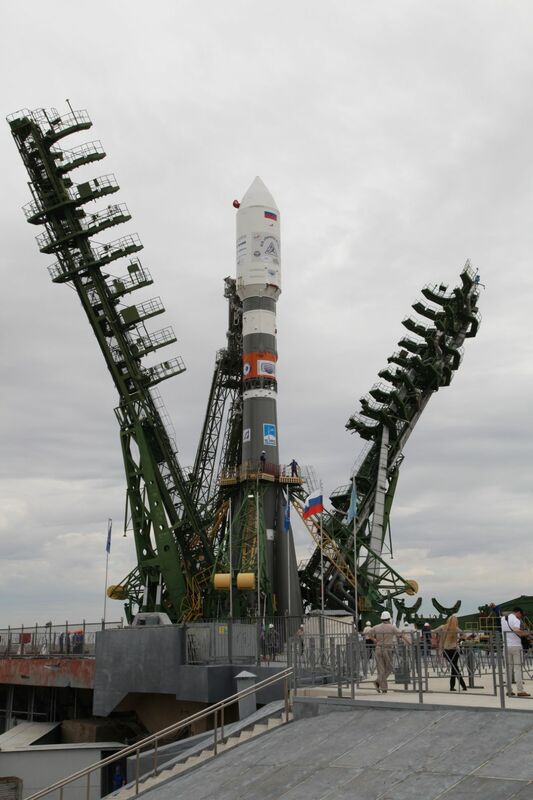 A Russian Soyuz 2-1A rocket stands tall atop its Baikonur launch pad after a Tuesday morning rollout to set the stage for liftoff at 6:36 UTC on Friday with a total of 73 satellites – ranging from 600 to 1 Kilogram, including a small satellite that could become the brightest artificial object in the night sky. 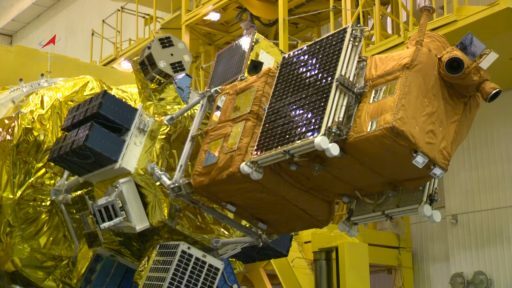 The mission, aiming for three distinct orbits, will rank second for the most satellites deployed in one go. The 46-meter tall Soyuz rocket emerged from its assembly hall at the traditional early morning hour for a short rail journey over to the launch pad at Site 31 where the vehicle was placed in its vertical position for two days of final testing ahead of fueling and liftoff. 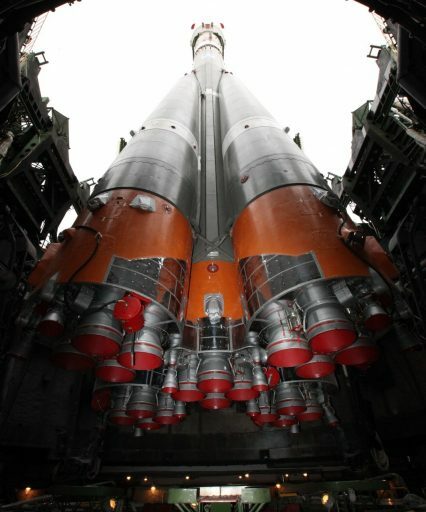 Hidden under the rocket’s payload fairing are satellites from Russia, the United States, Germany, Japan, Canada and Norway – covering various fields such as Earth observation, ship-tracking, communications, meteorology and technology demonstration. 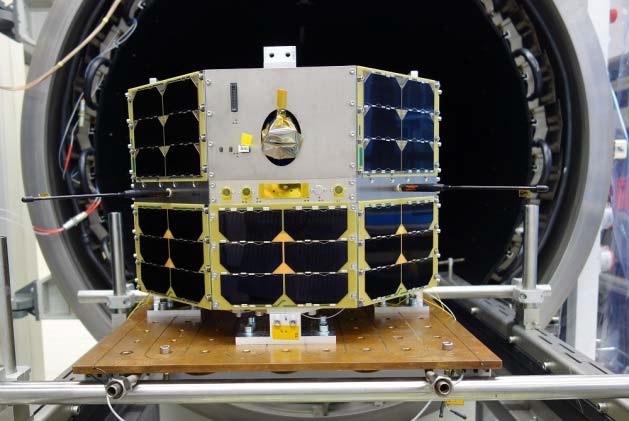 The payload cluster is headed by the 600-Kilogram Kanopus V-IK satellite that represents the primary passenger of Friday’s mission, aiming to continue expanding the Kanopus constellation that sets out to have six satellites in orbit by the end of 2018 to form a responsive Earth observation system. 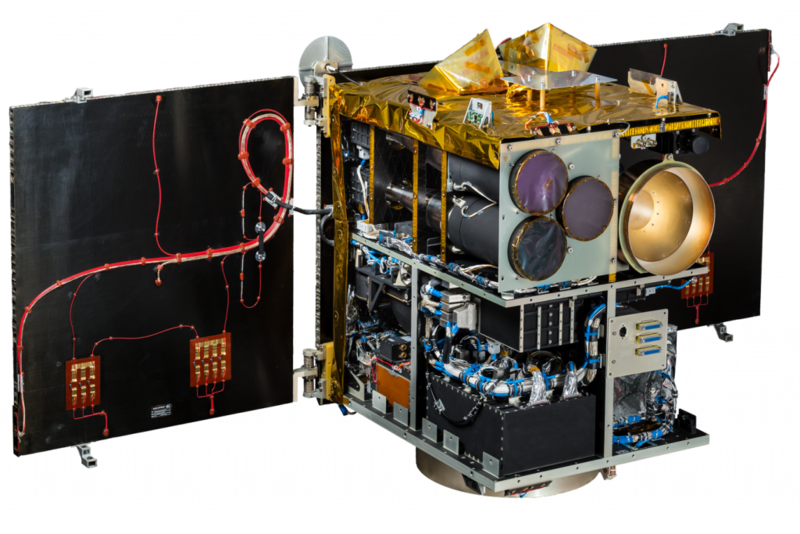 Kanopus is operated as part of Russia’s civilian Earth-observation program that comprises two major branches – the heavy Resurs imaging satellites that deliver high-resolution imagery of Earth and Kanopus, using much lighter satellites to deliver medium-resolution imagery covering a larger area for application in mapping, environmental monitoring, agriculture and disaster relief. 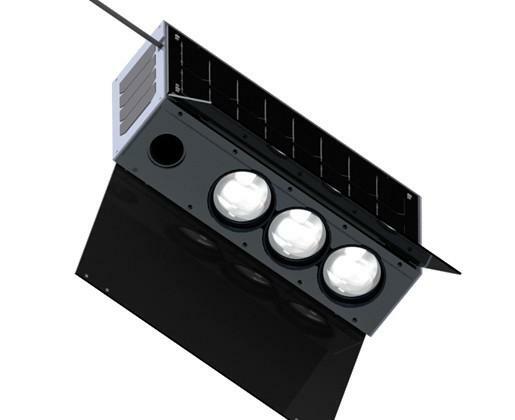 The first Kanopus V satellite launched in July 2012 and was expected to be followed one year later by Kanopus-V No.2, however that satellite’s launch was pushed to allow the addition of an infrared-imaging payload to the satellite which was re-named Kanopus V-IK to highlight its infrared capability for fire and hot spot detection down to a size of five meters. 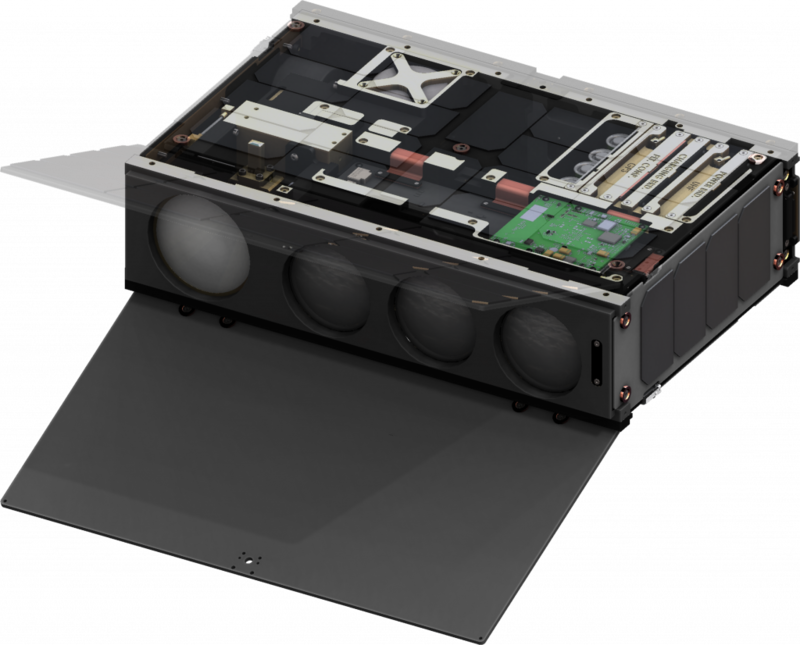 In addition to the infrared payload, the satellite hosts a black-and-white imaging system achieving a 2.1-meter ground resolution and a four-band full-color imager that delivers images with a 12-meter resolution. 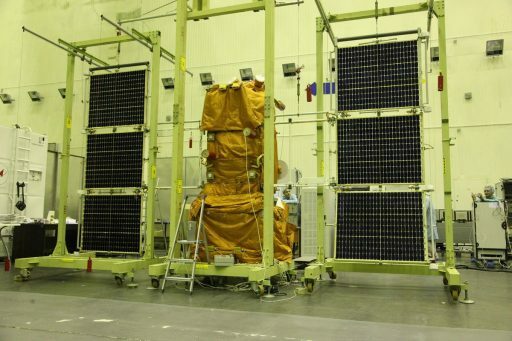 The secondary satellites are being launched by Glavkosmos, a subsidiary of the Roscosmos State Corporation that aims to become a major player on the global launch market by offering low-cost launch opportunities for small satellite operators on Russia’s highly reliable Soyuz launch system. Up to 120 secondary payloads are manifested by Glavkosmos for launch this year on three Soyuz missions, one from Baikonur and two from the new Vostochny Cosmodrome that opened for business in 2016. 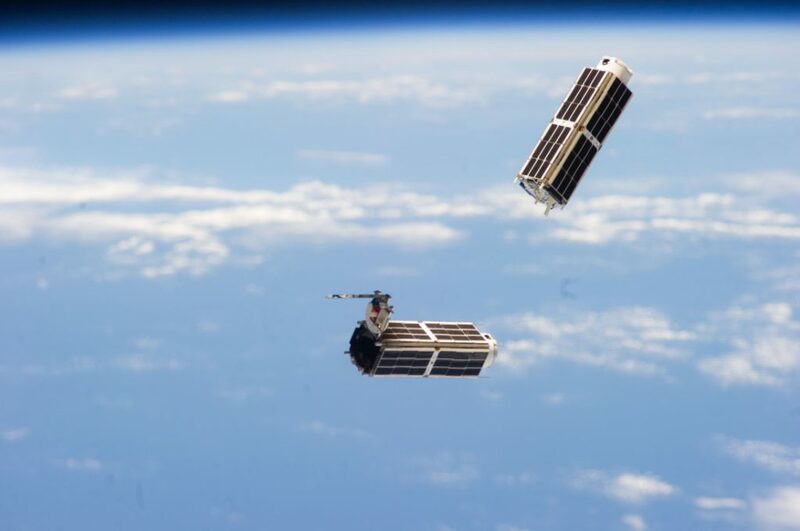 Glavkosmos is working with Seattle-based Spaceflight for this initial Soyuz cluster mission, though aims to work directly with satellite operators to cut out the middle man that comes in the form of launch brokers for small satellite and CubeSat missions. 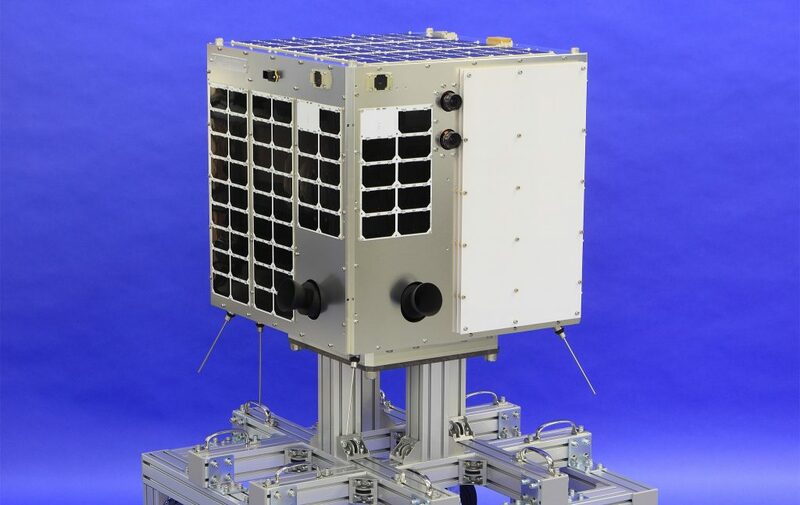 ECM Space Technologies, headquartered in Germany, has been contracted to handle the integration of CubeSats. 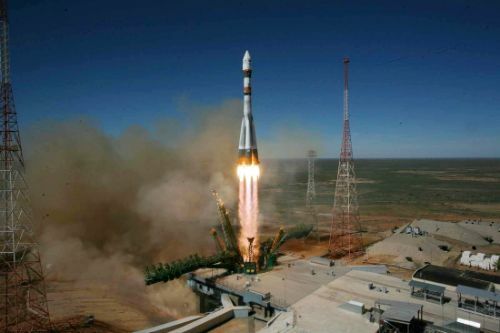 The company expects to fly secondary payloads on three Soyuz missions per year with at least one flight into Sun Synchronous Orbit, the favored destination for most of the world’s imaging satellites. Glavkosmos sees direct competition in India’s Polar Satellite Launch Vehicle that set a new record for the most satellites launched on a single rocket back in February when it deployed a total of 104 satellites, only three of which were non-CubeSats. 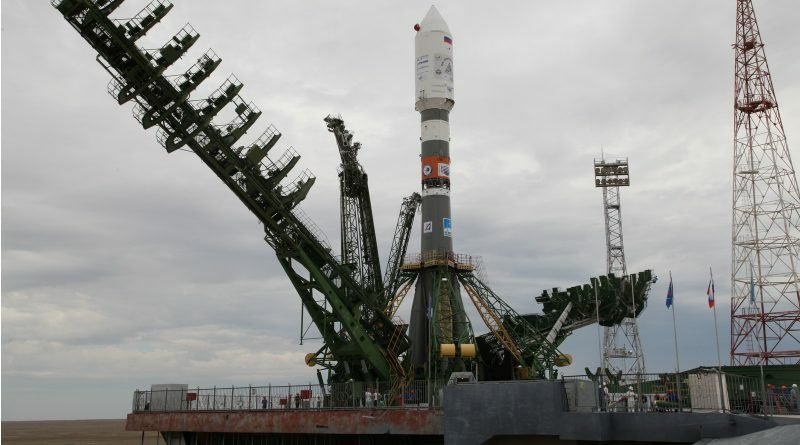 Glavkosmos cites its advantages in competitive launch prices, Soyuz’s reliability record and high flexibility in moving payloads from mission to mission as required by customers. 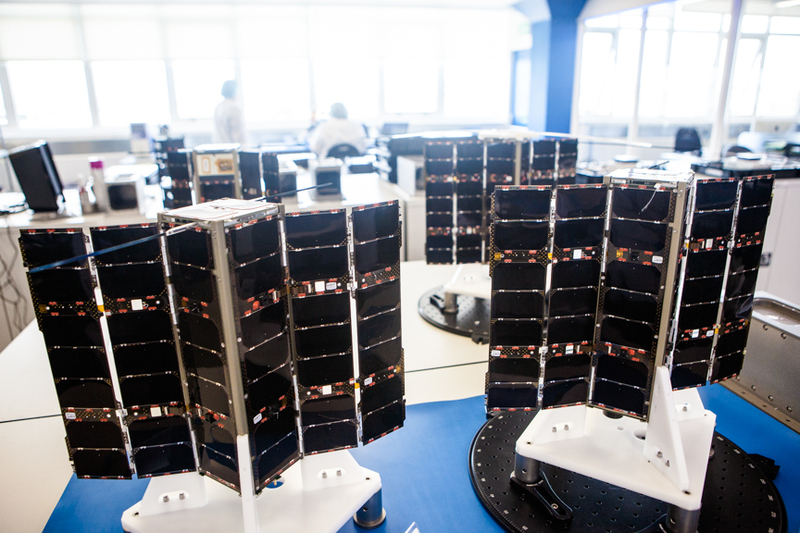 The 72-satellite cluster heading into orbit on Friday comprises five microsatellites from 17 to 120 Kilograms and 67 CubeSats – seven 6U, fifty-nine 3U and one 1U for a total of 220 CubeSat Units. 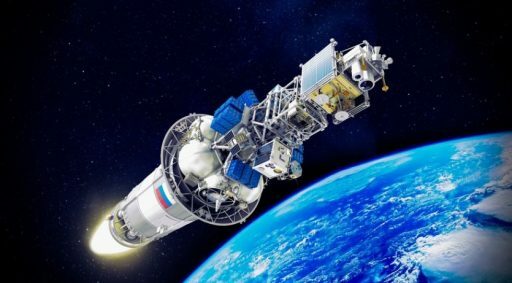 Friday’s Soyuz/Fregat mission will be particularly complex, taking the upper stage through a roller-coaster ride to deliver the satellites to three distinct orbits followed by a targeted deorbit maneuver of the Fregat, creating a mission duration of eight hours and 42 minutes. Liftoff is timed for precisely 6:36:49 UTC and Soyuz will depart the Baikonur Cosmodrome with a thrust of over 420 metric ton force, provided by the multi-chamber engines on the core stage and the four strap-on boosters. The boosters, each holding nearly 40 metric tons of propellant, will complete their job one minute and 58 seconds into the flight, dropping away from the still-firing core stage that will continue toward space with a thrust of 102 metric-ton force. Hot-staging occurs four minutes and 47 seconds into the flight with ignition of the Block I third stage at the same moment pyrotechnics fire to separate the spent Block A core after it burned though 91 metric tons of propellant. Delivering 30,400-Kilogram force of thrust, the Kerosene-fueled third stage will burn for just under four minutes, accelerating the stack onto a sub-orbital trajectory. Fregat will separate from the Soyuz booster eight minutes and 49 seconds after liftoff to embark on its complex multi-orbit mission. Fregat will be flying in its ‘M’ configuration with tank extensions to achieve the performance needed for this mission, carrying 5,250 Kilograms of self-igniting Unsymmetrical Dimethylhydrazine and Nitrogen Tetroxide for consumption by a two-metric-ton S5.92 engine. The upper stage’s mission begins shortly after separation with a propellant settling maneuver ahead of ignition of the main engine on a six-and-a-half-minute burn to place the stack into an elliptical parking orbit peaking over 500 Kilometers in altitude. Concluding its first burn, Fregat will coast for half a lap around Earth for an 86-second burn at the apogee of the orbit to serve as circularization, aiming for an orbit of 479 by 523 Kilometers, inclined 97.44 degrees for the separation of the Kanopus V-IK satellite one hour and one minute after liftoff. Next up will be two main engine burns, both 66 seconds in duration and again spaced by half an orbit in order to achieve a near-circular orbit of 595 x 600 Kilometers for the separation of the five MicroSatellites during a 200-second sequence picking up at T+2 hours and 25 minutes. With the five MicroSats on their way, Fregat will fire up its low-thrust engines for a very slight change of the orbit, targeting 584 x 604 Kilometers for the ejection of 19 of the CubeSats (all except for the Flock 2k satellites). After dispatching 25 of its passengers, Fregat will be headed back down, targeting a pair of orbit reduction maneuvers three hours and 15 minutes and three hours and 58 minutes into the flight with durations of 86 and 72 seconds to spiral down to an orbit of 465 x 480 Kilometers, 97.0°. 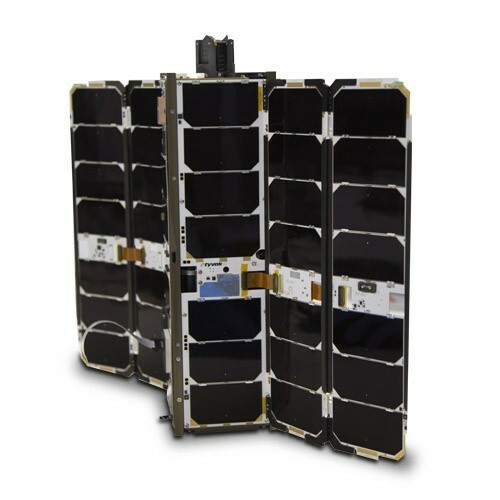 What follows will be an extended period of passive flight with separation of the remaining 48 CubeSats planned over a 22.5-minute sequence seven hours and 41 minutes after launch. 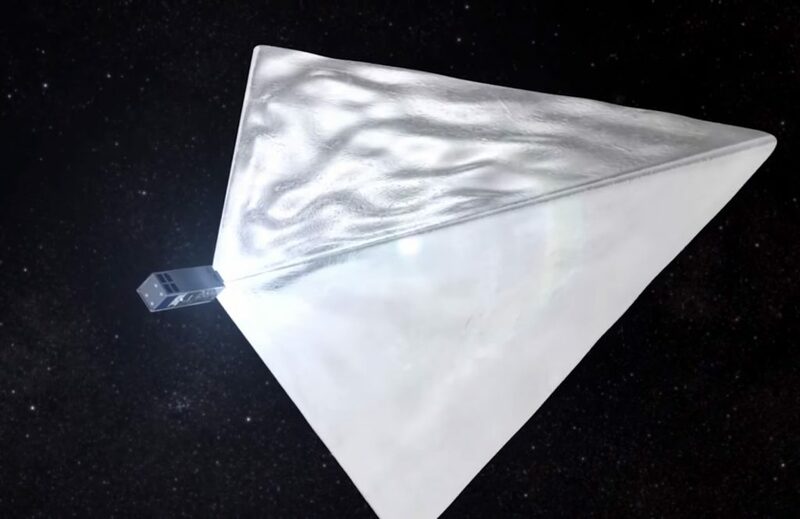 The last order of business for Fregat will be a two-minute deorbit maneuver eight hours and 15 minutes after launch, placing the stage onto a sub-orbital trajectory for destructive re-entry over the Indian Ocean. 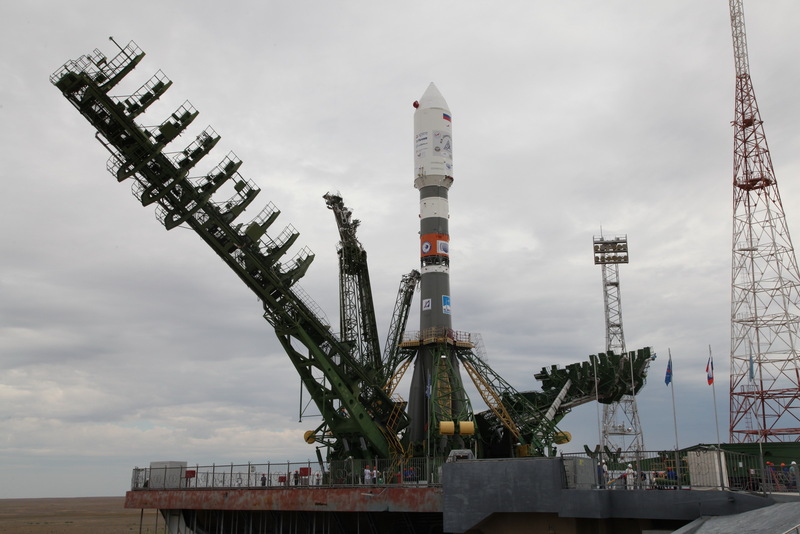 ← Photos & Video: Soyuz Rocket rolls to Baikonur Launch Pad for Liftoff with Kanopus et al.